When our son was a baby, my husband and I kept his birthday parties simple and low-key, limiting the guest list to just family. We figured that since our son wasn’t old enough to know the difference, there was no need to spend a small fortune on a party he wouldn’t even remember. However, his third birthday posed more of a challenge because by then he’d reached the age where he was being invited to playmates’ birthday celebrations. We realized that our minimalist family gatherings might be too exclusive and couldn’t compare to some of the more elaborate birthday extravaganzas he’d attended. With so many parents these days throwing their children expensive, over-the-top birthday parties, it can be difficult for the rest of us to keep up. I’ve seen people rent out fancy restaurants and banquet halls to celebrate their children turning one. At a recent outdoor bash for a four-year-old, the parents transformed their backyard into an amusement park, complete with rides, a bouncy castle, a cotton candy machine, and a popcorn maker. Even the modest three-year-old parties we attended last year at local kiddie gyms and activity centers cost the parents well over $500 for a mere two hours of entertainment. If a big, activity-packed party just isn’t in your budget, worry not. You can still throw a fun, fabulous bash without spending a fortune. Many parents choose to rent spaces rather than host birthday parties in their homes. When you rent a space that includes an activity, you don’t have to worry about setup, cleanup, or providing entertainment for your guests. However, you do pay considerably more money for the privilege of throwing your party at an outside facility. Kiddie Gyms. Chains such as The Little Gym, My Gym, and Gymboree offer a variety of party packages, with costs ranging from $400 to $600 for a two-hour party. Dance and Martial Arts Studios. Dance and martial arts studios typically charge $300 to $500 for a two-hour party, with costs varying by location. Arts and Crafts Centers. Popular options include mug painting and pottery, with rates ranging from $15 to $35 per attendee depending on the region and activity. Zoos, Aquariums, and Museums. Party packages vary by region and age group, and can cost as little as $300 or well over $1,000. Kid Entertainment Centers. Entertainment centers like the famous Chuck E. Cheese’s chain offer a variety of packages, with rates typically ranging from $15 to more than $30 per child depending on location. Party Rooms. It’s often possible to rent a room at your local recreation center or place of worship, where you may pay a fee of $100 to $300 to use the space, but you must provide your own entertainment and food. Pizza Parlors. Many pizza parlors offer party packages where the food is included, with rates typically starting at $8 per guest. Ice Cream Shops. Ice cream shop parties typically feature make-your-own sundae bars and cost $200 to $400 for an average gathering. If space allows, one of the best ways to save money on your child’s birthday party is to host it at your home or in your backyard. By doing so, you can save anywhere from $100 to $300. Of course, the downside is that throwing an at-home party means doing more of the work yourself. You’re responsible for setup, cleanup, and all of the food and entertainment. On the other hand, you’re in the best position to keep your costs to a minimum while stretching your dollars to focus on the aspects of your child’s party that are most important to you. If the idea of having to clean up after a dozen or more kids is enough to make you dizzy, keep in mind that you could look into low-cost maid services and book a one-time cleanup. Some maid services offer new customer specials, and if you keep an eye out for deals, you could book a cleaning for as little as $40 or $50, which is still considerably cheaper than renting an outside space. If the space you rent doesn’t include an activity or entertainment, you need to come up with something for your guests to do other than sit around and eat. It’s common for parents to hire actors to dress as their children’s favorite TV, movie, or storybook characters. The characters can perform skits, lead dances, or simply interact with the guests. The cost involved varies depending on where you live and how many performers you hire. A friend of mine paid $150 per hour for three performers to dress up as characters from the movie “Frozen,” sing songs, and act out scenes. Other popular options for entertainment include clowns and magicians. These performers charge anywhere from $80 to more than $250 for a birthday party appearance. You can save a fair amount of money by providing your own entertainment. If you’re hosting a spring, summertime, or fall party, take advantage of the weather by organizing a number of outdoor activities for your guests. You can organize a series of fun relay races, set up games like ring toss and tug-of-war, or tell your guests to bring swimsuits and let them have a water balloon fight. You could even divide your guests into teams and have a mini-camp color war-style sports tournament. 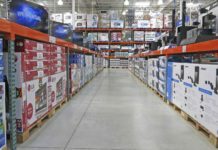 Best of all, you can probably raid your basement or garage, or borrow some games from friends and neighbors, so that you’re spending practically nothing to keep your guests occupied. A friend of mine held an outdoor sports tournament in her backyard to celebrate her son’s seventh birthday. She spent less than $20 on equipment and prizes and paid two local teenagers $20 each to assist with the games so that she could focus on other aspects of the party, like setting up the food. Scavenger or Treasure Hunts. As long as you’re willing to let a bunch of kids search in between your couch cushions or under your bed, you can treat them to a fun scavenger or treasure hunt. Spend $10 on a nice prize, and you’re done. Crafts. Check Pinterest or similar sites for low-cost craft ideas. Some classic options include making picture frames out of Popsicle sticks or having each guest bring a plain white t-shirt to decorate. If your guests are a bit older and you’re feeling brave, set up a cupcake decorating bar and let the kids design their own desserts. You could also buy colored chocolates and molds and send guests home with their sugary creations. All of these options cost well under $50 for 10 to 15 children. Movie Screenings. It may seem like an easy way out, but if you’re stuck indoors and have a large-screen TV, you can gather up the kids and put on a popular new release. Talent Shows. Why not make your guests do all the work? Buy a modest prize for the winner, ask a couple of adult guests to judge, and let the kids entertain themselves and each other by showing off their respective talents. Of course, if you happen to have a family member or close friend who moonlights as a magician or entertainer, don’t be shy about calling in a favor. A friend of mine had her brother’s band perform at her son’s last birthday party, and though they usually stick to heavy metal, they were happy to add some kid-friendly tunes to their repertoire for the occasion. Another friend had her teenage son borrow a costume and play the part of Spongebob Squarepants at her four-year-old’s last bash. Pizza. Pizza is generally the cheapest option for feeding a crowd, with an eight-slice pie typically costing $10 to $15 depending on where you live. Subs or Hero Sandwiches. Hero and sub platters can cost as little as $40 or more than $100 depending on their size and contents. Birthday Cake. Bakery cakes to feed a crowd range from $30 to well over $100 depending on the type you choose, while ice cream cakes typically cost $30 to $60. One good way to save money on food is to avoid serving a meal. Between food allergies and general child pickiness, feeding a room full of kids is a challenging prospect no matter what, so instead of serving a meal, throw a party from 2:00 to 4:00 or from 2:30 to 4:30 in the afternoon so there’s no expectation of lunch or dinner. If you opt to serve a meal, the best way to keep your costs down is to prepare it yourself. Homemade macaroni and cheese is an easy kid-friendly meal to make in bulk, costing between $10 and $15 to make a batch that’s large enough for 12 or more. If you’re having adults stay for the party and want to feed them as well, whip up something simple like baked ziti, which also costs about $10 to $15 in ingredients for a large pan. If you really don’t have the time or energy to cook, do some research to find the cheapest pizza store and spring for delivery. Most kids only need a single slice of pizza for a meal, especially if you’re serving cake and other goodies. Restaurant coupons can help you keep your costs even lower. Another great way to save money on food is to bake your own cake. All you need are a couple of boxes of store-bought cake mix and a few cans of frosting. The best part? You can pull it off for $10 to $15, which is just a fraction of what a bakery would charge. Add in another $20 for party staples like chips, cookies, and pretzels, plus $10 for juice and soft drinks, and your guests can be treated to more than their fair share of snacks and sugar. Tent. Tent rentals can cost anywhere from $150 to more than $1,000 depending on the amount of space you need to cover. Bouncy Castle. Bouncy castles provide hours of fun for young kids, and typically cost $20 to $80 per hour. Food Makers. These days, you can rent everything from a cotton candy spinner to a snow cone dispenser, with costs ranging from $80 to more than $500 depending on the number of people you need to feed. You can save money on equipment rentals by being creative and having a backup plan. For example, if you’re looking to host an outdoor party and are afraid of rain, you can save money on a tent rental by being flexible and moving the party indoors in the event of inclement weather. Similarly, you don’t need a bouncy castle if it’s not in your budget. Instead, find some friends who own trampolines and ask to borrow their equipment for the day. Finally, you can skip the carnival-style concessions in favor of standard party snacks. Remember, if you rent food makers, you must also hire or ask people to man those stations. A popcorn machine may be fun to look at, but if you stick a few bags of popcorn in the microwave and serve it up hot and fresh, your guests should be just as happy. Party bags run the gamut from small bags of candy, to large, overstuffed bags filled with personalized mementos and toys. As such, the cost varies tremendously. One of my friends spent about $5 a pop for her daughter’s birthday party bags, which included a few candy items, bubbles, and stickers. Another friend recently threw a magic-themed party for her son and gave out bags loaded with small toys and props, including customized trick playing cards. She spent almost $20 per bag, and later admitted that she may have gone overboard. It is common practice to send each guest home with a party bag – but from a financial standpoint, you’re probably wasting your money. Unless you’re willing to spend $10 or more per party bag, your choices are limited to cheap toys and candy – things that many parents don’t want lying around the house. By skipping the goody bags, you can save a good $5 to $10 per guest – but forgoing the treats doesn’t mean you have to send your guests home empty-handed. If your entertainment involves a craft, your guests can take home their creations to display or show off to their parents. If your guests are younger, you can let each one take home a balloon. If you throw your child’s birthday party at a kiddie gym, studio, aquarium, or zoo, decorations may either be included or not necessary. However, if you’re renting out space at a pizza parlor or recreation center, you could find yourself staring at blank white walls if you choose to forgo decorations. Similarly, you may feel compelled to go big on decorations if you opt to host a party at home. Mylar Character-Themed Balloons. These larger-sized balloons cost $3 to $10 apiece, and several are necessary to help fill a room. Latex Balloons. Solid-colored latex balloons are a less expensive option, costing roughly $3 for a set of 10 to 12 standard-sized balloons. Streamers. These are relatively inexpensive, costing just $2 to $4 per roll. Banners and Signs. Classic happy birthday banners cost $5 to $10, while custom banners cost $15 to $50 depending on the size and features. Tableware. Themed tablecloths, cups, napkins, and plates might look nice, but service for eight can cost anywhere from $25 to $45 depending on the style or theme. Custom tableware for eight can cost upward of $50. Decorations are nice, but ultimately, your guests are going to appreciate cake and entertainment more than some interesting decorations. It’s okay to keep things simple by sticking to basics like streamers and latex balloons, and avoid customized decorations, which can be a huge budget-buster. You can also skip the character-themed tableware and instead buy basic plastic cups, napkins, plates, and utensils for $20 or less. If your children are old enough, you can put them to work by having them help with the setup. They might enjoy it, and it can help get them into the party spirit. Mailing out invitations to all of your attendees can get expensive. First, there’s the cost of the invitations themselves. Invitations typically come in packs of 8 to 24, including envelopes, and cost anywhere from $4 to $10. And some parents like to use custom invitations, which can cost three to four times as much. In addition to the invitations, there’s the cost of postage. As of August 2015, the current postage rate is $0.49. If you’re sending out 20 invites, that’s another $10 just to get the word out. One of the easiest ways to cut your party-related expenses is to skip the paper invites entirely. Thanks to sites like Evite, you can create your own free electronic invite and save yourself the hassle of addressing envelopes. As an added benefit, the site allows you to constantly check your guest list and send reminders to those who have yet to RSVP. If you’re really set on giving out physical invitations, sites like Greetings Island let you create your own printable invites for free. Doing so is cheaper than buying invitations, and if the majority of your guests live close by, you can save money on postage by handing out your invites instead of sending them in the mail. While a low-cost birthday party likely requires more time, effort, and legwork than a party where you’re paying someone else to take care of the details, the savings can be pretty significant. If you’re torn between a modest at-home bash versus a pricier party at a local recreation center, consider what you might do with the amount you save by hosting at home. While many people would rather put that money toward a family trip or into a college savings account, others think the memory of a big-time celebration warrants the extra money. Ultimately it’s a trade-off, but any party you throw – no matter the size or expense – is one your child is sure to appreciate for years to come. 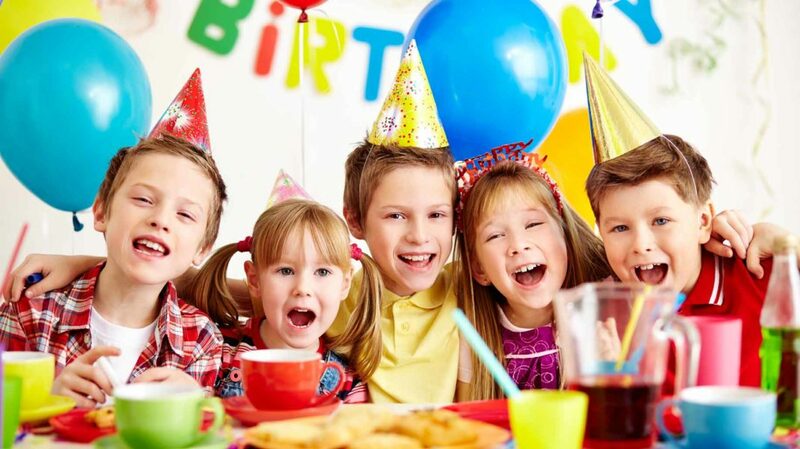 What additional ways can you suggest to save money on a child’s birthday party?